Backdrops: When you are looking to draw extra attention to someone or something, an elegant, high-quality backdrop can do the trick. They can also be quite useful in hiding unwanted distractions, such as photos, that might be on the walls of the venue. With a wide variety of options and colors to choose from, we will help make sure all eyes are on the right spot! Booth covers: Booth covers are an essential component of draping for trade shows, job fairs, recruitment events and other corporate settings, offering distinction and separation for each presenter. Allow us to show you the allure of booth covers at your next gathering. 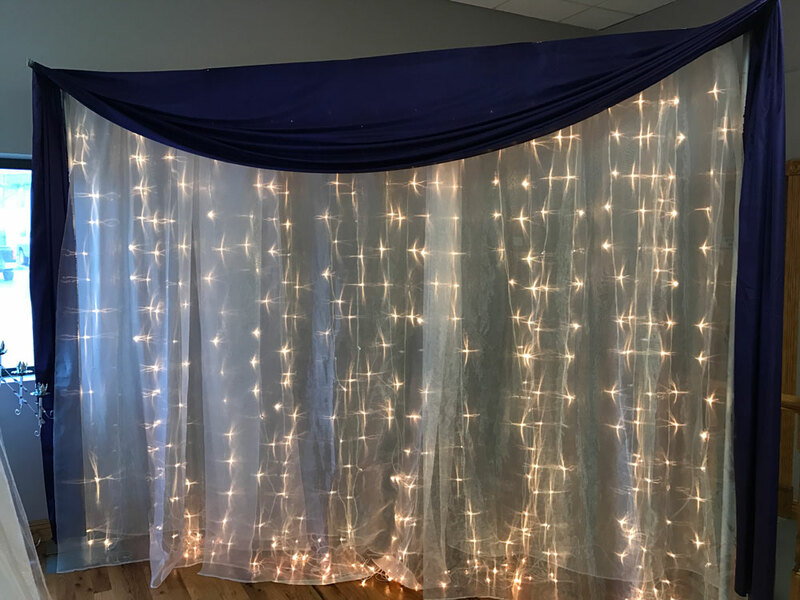 Drapes: From stages to tables and everywhere in between, draping is an ideal way to heighten the allure of your event and to enhance the atmosphere of your event location. Our draping will complement your event to the highest levels and comes with piping services where needed. 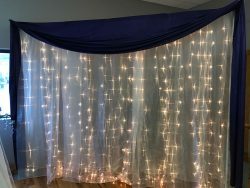 We can drape virtually any event you might be putting together and have a depth of experience with all forms of this service. We also offer different types of draping and pricing depending on the extent of your needs. 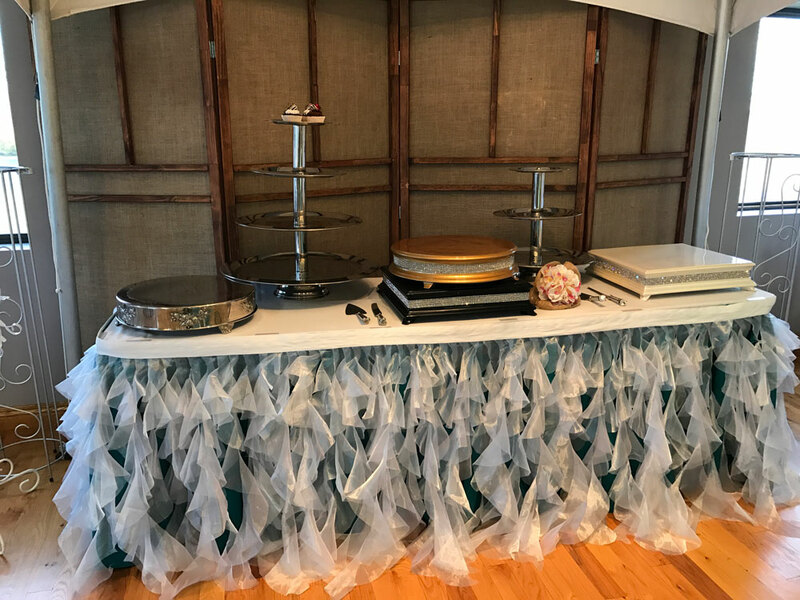 Consult with us today about 3’, 8’ and 12-18’ draping and piping services. 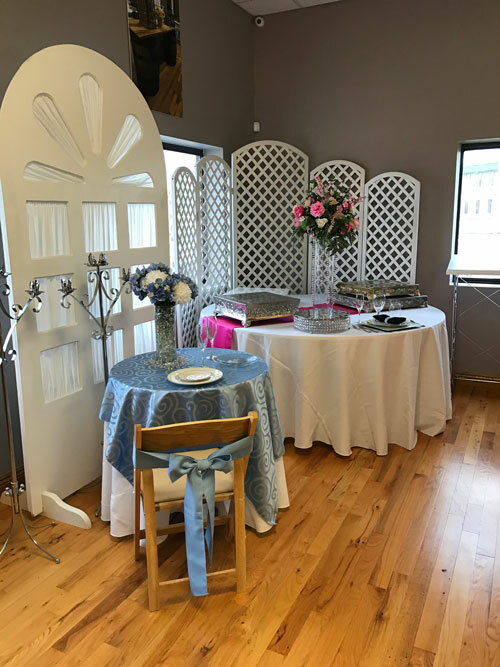 If you’re choosing Personal Touch Party Rentals & Events to be your complete source for party rentals in Ohio, don’t forget to ask us about draping services! We’re happy to consult with you about your need and the visual you’d like to achieve. Get in touch with us today by calling 740-689-6991 for more information.